The Obama administration on Friday asked the United States Supreme Court to review a federal appellate court's ruling that struck down the president's controversial immigration program. The request comes exactly one year after the program, called Deferred Action for Parents of Americans and Lawful Permanent Residents, or DAPA, was announced by the president. It would have allowed more than 4 million undocumented immigrants nationwide to apply for three-year renewable work permits and reprieves from deportation proceedings. The petition — which the Obama administration said earlier this month it planned to file — states the case “warrants immediate review” and echoes the sense of urgency advocates of the program have expressed for months. If the high court decides to review the case, a ruling could come as late as June, roughly six months before Obama leaves the White House. Gov. Greg Abbott filed a lawsuit challenging the policy in his former role as attorney general last December, and 25 states joined the lawsuit. Since then, Texas attorney general Ken Paxton’s office has prevailed in federal court several times, arguing the administration overstepped its authority by circumventing Congress. The program was initially halted in February by U.S. District Judge Andrew Hanen of Brownsville, who ruled the administration didn’t comply with the Administrative Procedure Act, which governs how federal regulations are made. The U.S. 5th Circuit Court of Appeals has subsequently ruled to keep to program from being implemented. “The court of appeals’ judgment enjoins nationwide a federal policy of great importance to federal law enforcement, to many States, and to millions of families with longstanding and close connections with this country,” the filing states. “A twice-divided court of appeals should not have the last word on whether that policy can be implemented." Paxton's office said Friday it was ready for another round. "The president said himself more than 20 times that he didn't have the authority to unilaterally rewrite immigration law," spokeswoman Cynthia Meyer said in an email. "Three times federal courts have ruled in our favor, and we stand ready to continue defending the rule of law as we lead a 26-state coalition against the president's unconstitutional use of executive power." 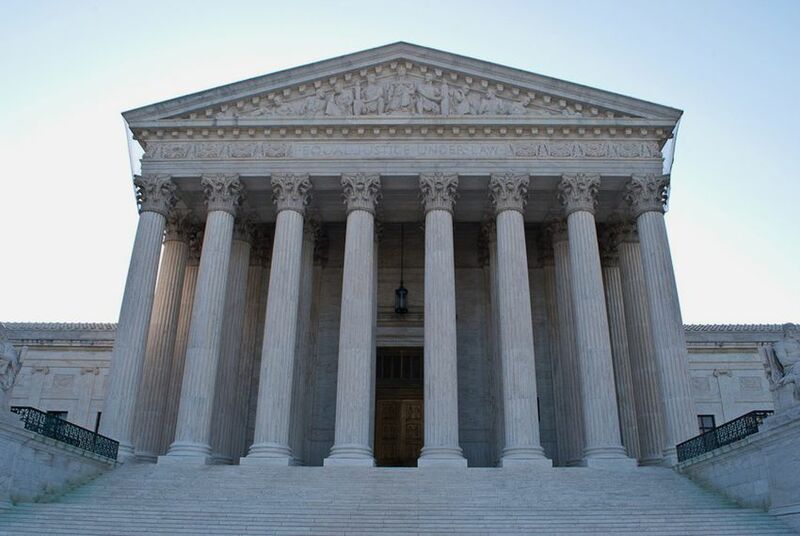 The filing questions the right individual states have to sue the federal government, Lyle Denniston, a Supreme Court scholar and contributor to SCOTUSblog, wrote Friday morning. But it also reaffirms what the president and his supporters have argued since last year: That President Obama has the authority to amend immigration laws through executive actions. The filing "also mounted a fervent defense of the policy itself, arguing that it was well within the historic discretion that Congress and the Constitution have given to the Executive Branch to manage immigration and deportation,” Denniston wrote. The Austin-based Workers Defense Project, which advocates for low-income workers, praised the Obama administration's filing. "On the one year anniversary of DAPA and on behalf of immigrant families, we thank the Department of Justice and President Obama for recognizing that immigrant families make our country stronger," said Brigid Hall, the group's executive director. U.S. Sen. John Cornyn, R-Texas, said Obama should be working with Congress to pass immigration reform measures rather than appealing to the Supreme Court for help. "The President clearly acted outside the law when he went around Congress to unilaterally change our nation’s immigration laws, and I’m confident the State of Texas will ultimately prevail in this case," Cornyn said.